These relays can be used as a battery or circuit isolator to allow your alternator to charge more than one battery but keep your starting battery from being drained when the vehicle is not running. Using a relay to isolate circuits or batteries makes a lot of sense. 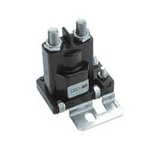 Relays use less energy to operate than a standard battery isolator. 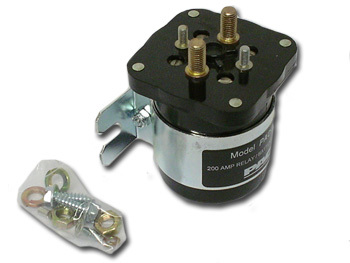 Normally, a battery isolator will drop about one volt across each side, leaving less charge to get to the batteries. These relays are simple to install, take up less room, and are more durable than standard battery isolators. You can save a lot of battery cable by installing these relays instead of a finned battery isolator. They require less then 1 amp to operate.Take your pick of either our 80 amp or 200 amp relays to match the load of your system.